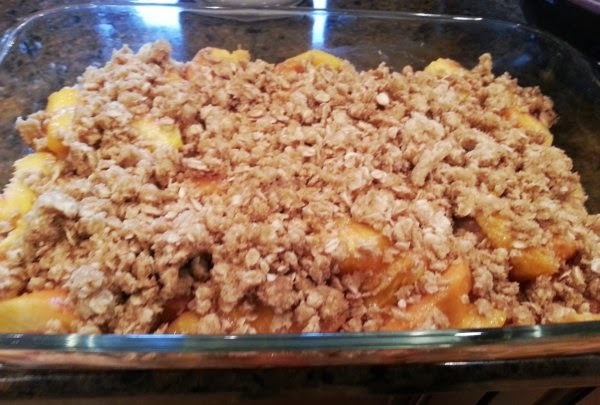 Peach Crisp is such a family favorite in my house. I love to buy this delicious fruit and transform it into this great dessert. 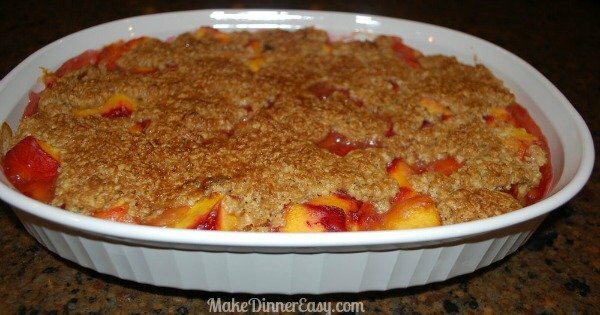 There just is something about a crunchy oat topping with sweet peaches and a little bit of vanilla ice cream that just tastes like summer! In addition to the recipe below, I've also included a short video to show you how to peel and section the peaches for this recipe! Preheat the oven to 350'F. And prepare the peaches to be skinned by placing a large pot of water to boil, and prepping a large bowl of ice water. While you are waiting for the water to boil, combine all of the topping ingredients in a medium bowl and set aside. 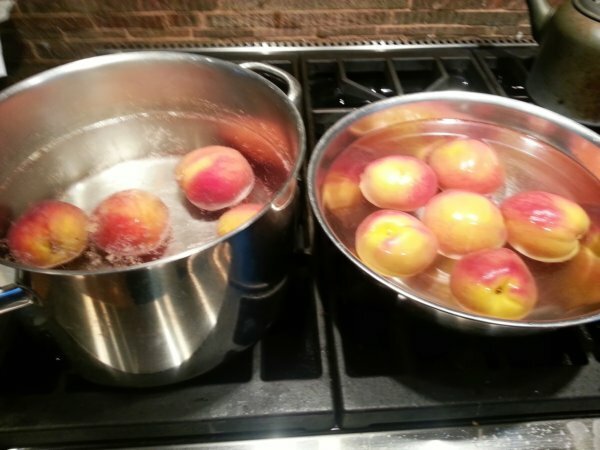 When the water starts to boil, place about 5 peaches at a time in the boiling water using a slotted spoon. Allow the peaches to stay in the water for about 1-2 minutes. Then quickly transfer them into the bowl of ice water using the slotted spoon. Allow them to sit in the cold water for about 1 minute, then drain and prepare a new bowl of ice water. Repeat with the rest of the peaches. 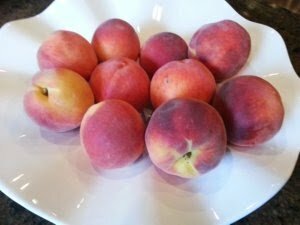 Once the peaches have been prepped, use a paring knife to pull away the skin, and cut the peaches into sections by cutting wedges off from the pit. Each peach should be cut into about 8-10 sections and placed in a large bowl. Once all the peaches have been skinned and cut, mix the rest of the filling ingredients in a small cup and stir into the peaches. 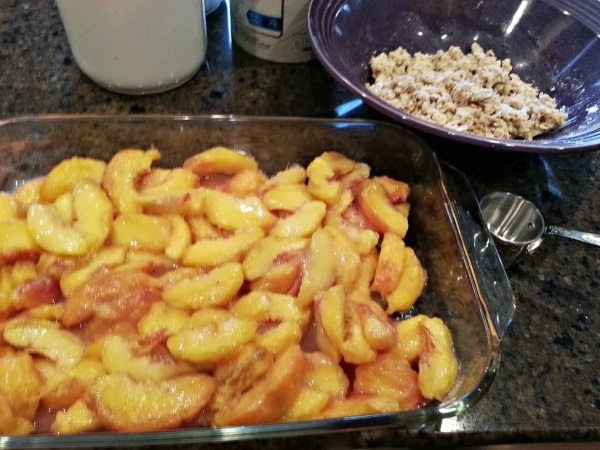 Transfer the peaches into a 9x13" pan and crumble the topping mixture evenly over the peaches. 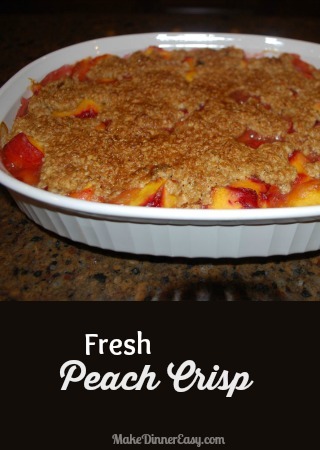 Bake at 350'F for 40-45 minutes or until the peaches are bubbly.